・英訳タイトルと初出:“Taking Care of God” ,Pathlight, April 2012. ・英訳タイトルと初出:“The Fish of Lijiang” , Interzone, October 2012. ・英訳タイトルと初出:“Shenzhen is Located at 22°27’-22°52’ N” ,Pathlight, Winter 2012. ・英訳タイトルと初出:“The Taxi Driver” , Pathlight, Winter 2012. 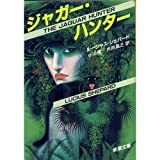 ・英訳タイトルと初出：“The City of Silence”,World SF Blog, November-December 2011. アイリーン・ガン＆マイクル・スワンウィック"The Trains that Climb the Winter Tree"